10am - 1:30pm and 4pm - 8pm. 10am - 1:30pm and 4pm - 6pm. 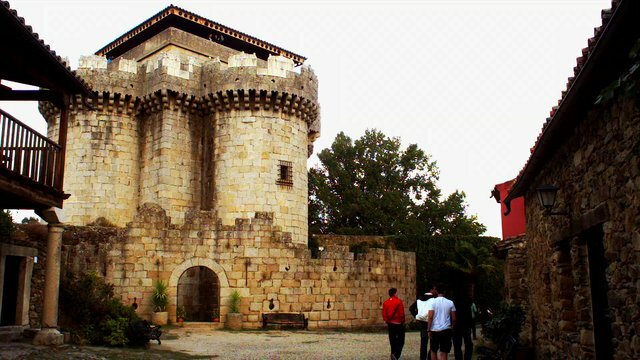 Granadilla stands on the banks of the Gabriel y Galán reservoir, and was founded by the Moors in the 9th century. This fortified town was declared a Site of Historic and Artistic Interest in 1980 and, in 1984, it was included in the Abandoned Village Recovery Programme. Since then, there has been a great influx of students to help in rehabilitating the town. The town was evacuated in the 20th century, as it was designated a flood area when the reservoir was built. For that reason, it currently forms part of the municipality of Zarza de Granadilla. The Almohade walls are one of Granadilla's most striking features. They were built to protect the town, given that Granadilla was a necessary stopping place for anyone doing the Silver Way Route (Vía de la Plata). A citadel was built in the north-west part, its most vulnerable area. Years later, in the Middle Ages, it would become a Christian castle. At dusk you can enjoy stunning views from this castle, of the entire village and an impressive sunset. Inside the town walls, around the Central Square, you will encounter several mansions which belonged to important Granadilla families. Some of them still have their original structure. For example: the house which is called “of the council” and the one adjacent to it; the oldest, which are the magistrate's house and the headquarters and barracks of the Civil Guard, which date from the 16th century, and the Town Hall. The House of Shells is no longer intact, unfortunately - only the facade is left, but it is definitely worth a visit. And you shouldn't overlook the Parish Church, which was built in the 16th century. The Gabriel y Galán Reservoir has become a bird watching hotspot. Cranes are the most common birds, but several types of anatidae and other aquatic birds, such as white and black storks, can also be spotted.